Landau was a first-rate reporter and lively raconteur, and in this regard he resembled his contemporary, the American journalist and adventurer William Seabrook who also wrote about what became known as the Work. Among the spiritual leaders described by Landau in vivid detail are Count Keyserling, Stefan George, Rudolf Steiner, Krishnamuri, Meher Baba, and Frank Buchman, not to mention P.D. Ouspensky and G.I. Gurdjieff. It is a motley crew to be sure. Landau’s descriptions of the latter two leaders in action constitute the first such accounts to appear between the covers of any book, as distinct from the columns of daily newspapers and other periodical publications. I will not take the time to discuss Landau’s understanding of traditionalist teachers or try to characterize his account of the lecture delivered by Ouspensky which he attended in London or his account of a lunch and a meeting with Gurdjieff in New York City. But I was reminded of Landau and the impression that he had made on me about fifty years ago while I was turning the pages of Paul Beekman Taylor’s latest book. It is called “Gurdjieff in the Public Eye” and it includes references to both Landau and Seabrook. Indeed, it would be incomplete if it had failed to do so. First let me offer a description of this new book and then a brief account of its author before I turn to the text itself. “Gurdjieff in the Public Eye” is subtitled “Newspaper Articles, Magazines and Books 1914-1949.” It takes the form of a sturdy trade paperback which measures 6.25 inches by 9 inches and has 246 numbered pages. The pages are not stitched but glued. The textual apparatus includes a foreword, an introduction, a select bibliography, and a nominal index, along with 16 pages of dimly reproduced images of Mr. G., dancers, Movements demonstrations, program notes, newspaper clippings, the Priory, etc. The soul of the book is the seven chapters devoted to excerpts and commentaries – but more about such matters later. The publisher is Eureka Editions in Utrecht in The Netherlands, and the year of publication is given as 2010 (though it seems the book has just appeared in the present year of 2011). Eureka is the publisher of over fifty Work-related books, including numerous new or reprinted volumes by Bob Hunter, Maurice Nicoll, Beryl Pogson, J.H. Reyner, Paul Beekman Taylor, and other group leaders, participants, and observers. The website of Eureka Editions is well worth examining for many reasons. The author of the present work is Paul Beekman Taylor who as a youngster “knew Gurdjieff.” Born in London in 1930, he and his mother spent some time at the Priory at Fontainebleau-Avon. Thereafter he became a scholar of Old Norse and Old English and taught for many years at the University of Geneva. He is now a Professor Emeritus of that institution. 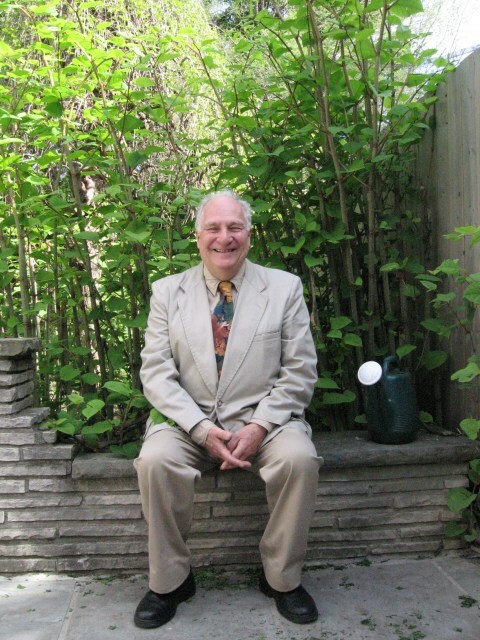 Books that he has researched and written include the very useful and detailed volume titled “Gurdjieff’s America” (2004), reissued as “Gurdjieff’s Invention of America” (2007), and “G.I. Gurdjieff: A New Life” (2008). The latter biography rises to the heights of James Moore’s classic work, “Gurdjieff: The Anatomy of a Myth” (1991); and, by incorporating the results of recent research, Taylor’s surpasses Moore’s biography in numerous particulars. It is my guess that Taylor sees himself as the historian of the Work, and I assume that no one will deny that he is ideally equipped as a scholar to trace its trajectory and that no one will doubt his “feel” for the Work. When I learned of the imminent publication of “Gurdjieff in the Public Eye,” what flashed before my eye was the composition of the collection and the construction of the commentary, as well as the conviction that Taylor was the man for the job. I was more or less familiar with the ancillary literature because what also flashed before my eye was the following name: J. Walter Driscoll. In effect, Driscoll’s “Gurdjieff: A Reading Guide” is the backbone of Taylor’s “Gurdjieff in the Public Eye.” Yet for its body and soul we have to turn to Driscoll’s magnum opus. This is the tome titled “Gurdjieff: An Annotated Bibliography” which was undertaken with the Gurdjieff Foundation of California and published in a hardcover edition by Garland Press in 1985. This standard work consists of some 1,700 entries full of delicious bits of information and iotas of insight. Many researchers (like the present writer) have used Driscoll’s bibliography as a checklist for items to find, photocopy, read, and digest. I hope Driscoll continues to collect and annotate the ever-expanding body of knowledge about the Work. Yet the arrival of the Internet has probably stamped “paid” to future editions of Driscoll’s “Annotated Bibliography” at least in print form. I am devoting all this attention to J. Walter Driscoll because the librarian, teacher, and archivist has contributed the foreword to the present volume. The foreword is short, only two pages in length, and it dwells entirely on the capacities and credentials of Taylor. It could but does not make the case that the “Annotated Bibliography” is the body and soul of “Gurdjieff in the Public Eye.” Driscoll seems very scholarly and endearingly self-effacing. In his introduction, Taylor describes the present book as “an anthology of all printed materials about Gurdjieff during his lifetime.” He credits the work of “definitive” bibliographer Driscoll, of musician Gert-Jan Blom, and of historian Michael Benham, a specialist in twentieth-century Russian history. He discusses what is included because there was not enough space to reproduce every article from every newspaper or magazine in whole or in part or even at all. (That sounds like a job for the Internet.) But major articles quite often appear in full, and all the articles are succinctly and authoritatively annotated. The years from 1921 to 1935 corresponded to a period of wide-spread public interest in Gurdjieff and his activities at the Priory, subsumed under the heading “the forest philosophers.” In all, I counted 126 articles from all periods, reproduced in whole or part, and they cover the years from 1914 to 1950. They range from the five-paragraph, anonymous notice about a hitherto unknown “Hindu” who had written “a most curious ballet scenario” called “The Struggle of the Magicians,” which appeared in “The Voice of Moscow” five months following the outbreak of the Great War and was read by Ouspensky, to the appearance of obituary notices in “The Times of London,” “The New York Times,” and “The New Yorker” in the late fall of 1949. Taylor’s table of contents gives a good idea of the chronological arrangement of the material. There are seven chapters: 1. Early Notices; 2. What the French Press Reported on Gurdjieff and His Colony; 3. The English Press; 4. American News of the Institute; 5. The American Tour of 1924; 6. Gurdjieff’s Press 1924-1939; 7. Last Notices. The two chapters devoted to the American press are the longest, as they benefit from Taylor’s own research and editorial concentration on this period. I am going to resist the temptation to discuss individual articles on the principle that one does not have to drink the entire ocean to know that it is salty – one drop will do; as well I will observe the injunction that it is difficult to eat just one salted peanut – and not a second and then a third. Having said that, let me suggest that worth the price of admission alone is the article reprinted from “The New Republic” (June 1929) written by Carl Zigrosser (who was subsequently appointed curator of prints at the Philadelphia Museum of Art). He knows his “prints” and offers his readers – and us, courtesy of Taylor – an engaging and lively account of a summer visit to the Priory as well as a notable pen-portrait of its founder. It is interesting to read what non-Gurdjieffians have to say about Mr. G. Indeed, I find what Gurdjieffians have to say about the man and his manner somewhat predictable, and hackneyed because readers of the literature on the Work are already quite familiar with the formulations of Ouspensky, J.G. Bennett, members of The Rope, and other contemporary commentators. Independent journalists can often be irreverent and amusing, instructively so, as they fail to understand Mr. G. and his manner and method. Yet there is one editorial decision that was made with “Gurdjieff in the Public Eye” that surprises me. What we have here is the material that should comprise an anthology, yet the text is presented not as an anthology or as a casebook of fully formed “pieces,” but as an historico-critical analysis that proceeds more or less decade by decade, in effect, a history. I wonder if the book would not have been more compelling and engaging had it been arranged in the form of an anthology, with independent contributions, each one introduced with a short preface followed by a source note and a critical commentary. The volume was not organized in this fashion, but I believe it would have found more readers had it been allowed to proceed along this trajectory. According to the publisher’s webpage, one hundred copies of “Gurdjieff in the Public Eye” have been printed. (The statement about the press-run does not necessarily preclude reprints of the first edition.) Are there so few – or so many – collectors and “completists” who buy serious books about the Work? One would think there are more readers than one hundred who are interested in the interwar period, in journalism, in the sociology of belief, in the psychology of gurus and leadership, in comparative religion, in early twentieth-century philosophy, in New Age formulations, in Traditionalist thought, etc. Perhaps so, perhaps not! Wallace Stevens wrote about 13 ways of looking at a blackbird. There are 32 short films about Glenn Gould. Hokusai painted 36 views of Mount Fuji. Paul Beekman Taylor has now offered us an anthology of 126 articles about Mr. G. There is not a page of this book that will not surprise and instruct every one of its readers, including even the most knowledgeable of readers.